At Pacific InterContinental College (PIC) we take extra care in our students’ academic advancement throughout their online college years with us. Our Administrative Department is composed of professional educators who have established a niche in their respective previous areas of specialization bringing along with them to us their wealth of professional education expertise and their adeptness and adaptability to the fast-changing technological environment. Our Online Faculty Members are well grounded and well established in their long years of professional experiences, continuing researches and excellent academic credentials. As known and active players in their respective professional fields, you can be sure of their passion and dedication towards bringing out the best in you in your chosen field of study. They will, therefore, make your online learning experience with PIC fun and fulfilling. They are backed up and supported by our well-experienced and technology-savy technical support service staff who maintain and update our vast selection of well-known authorities in your field of endeavor and study, and our library of online books and references of information that you can rely on and conveniently access with a single touch on your iPad, iPhone, Blackberry, smart phone, or notebook, or a click on your mouse. 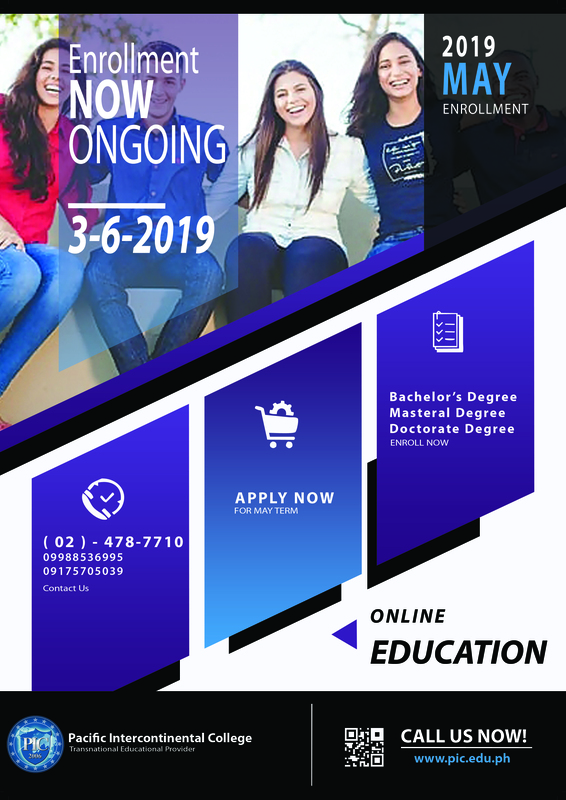 Together, the school administration and faculty shall provide you sound and effective environment for learning as we offer only you the best practices in online education, backed up with the latest and most advanced tools in an increasingly competitive arena of excellence in education.